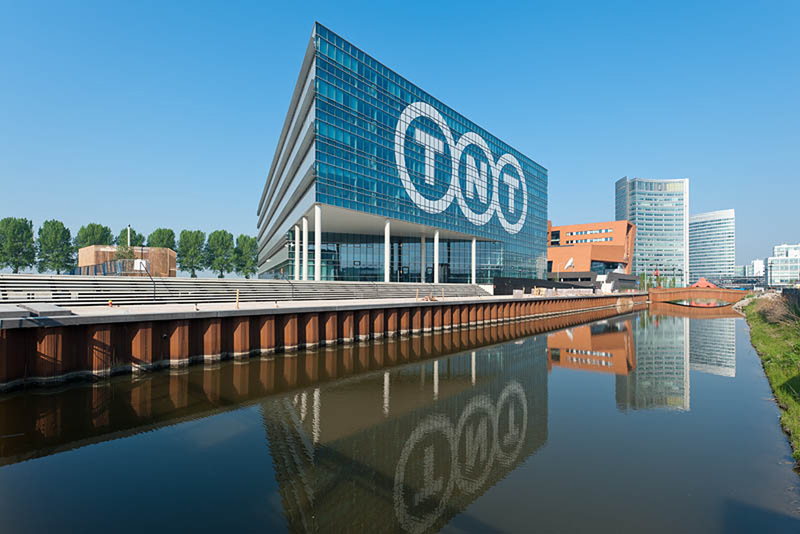 TNT has commissioned the development of the most sustainable building in Europe: TNT GREEN Office. 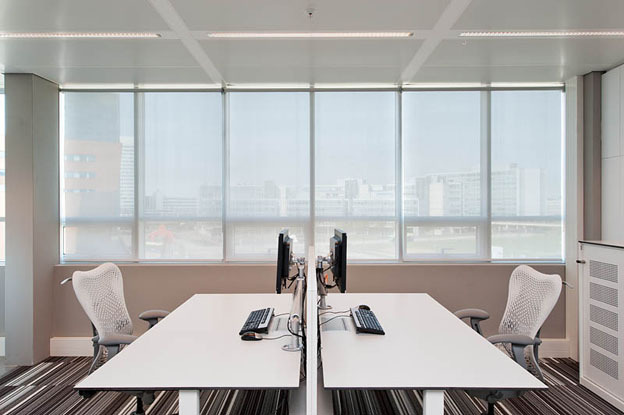 Architect Paul de Ruiter is responsible for the design of the Green Office. 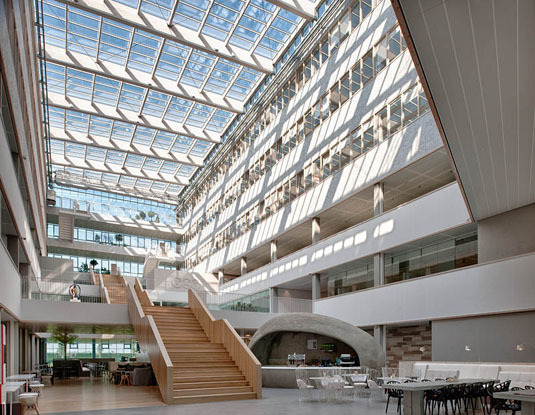 The design, characterized by sustainability, transparency and connectivity, is the very first step to challenging the highest aspirations for sustainable development. 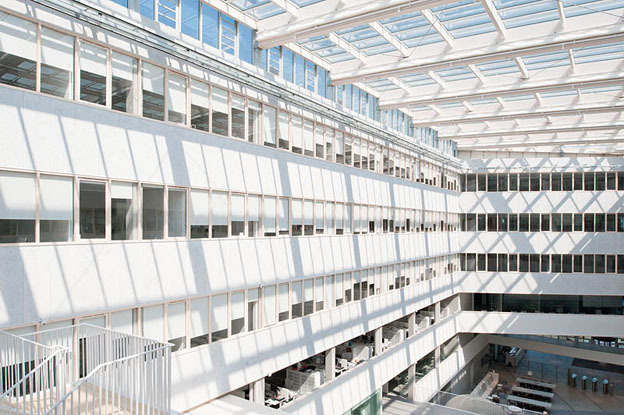 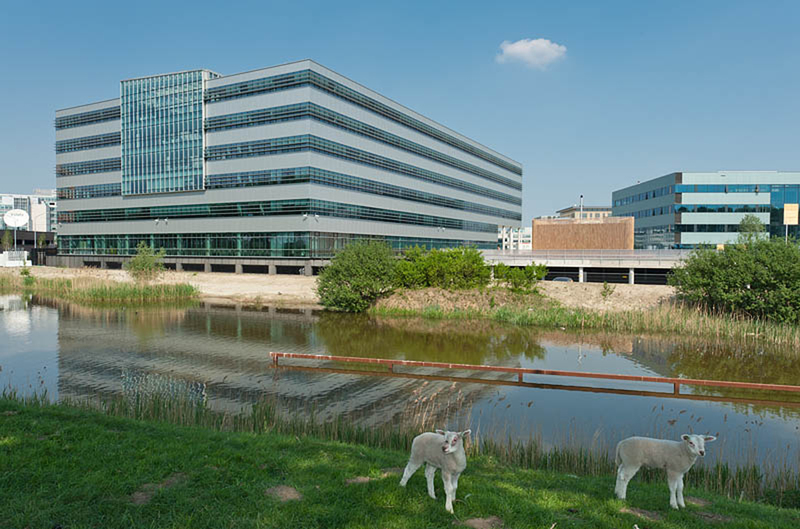 Not only is the building completely CO2 neutral, the design also achieves more than 1000 points under the Dutch green building certification GreenCalc+ and has been awarded a US LEED Platinum design certificate. 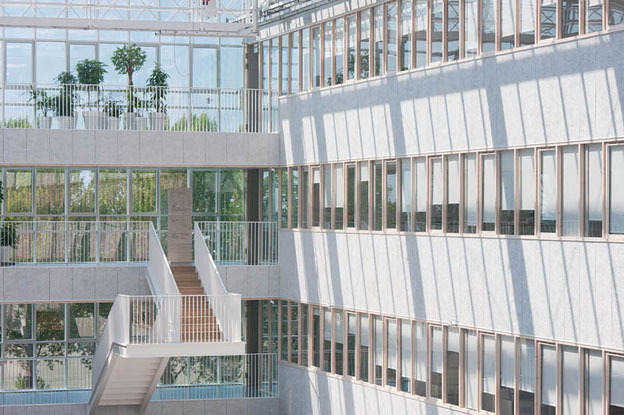 With these achievements, the building will be the most sustainable showcase in Europe. 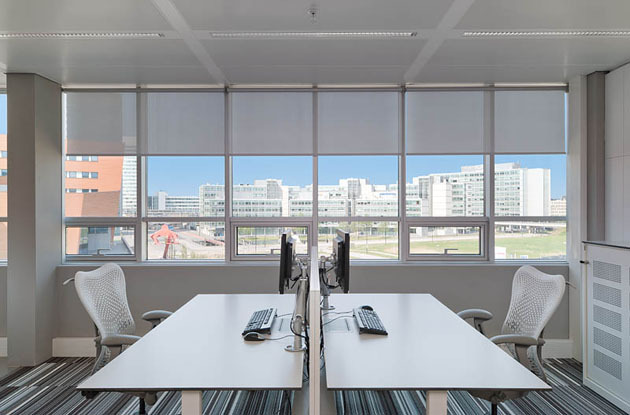 To aid in their quest for green certification standards, the architects installed 1,456 RB500 Roller Shades by Hunter Douglas Contract. 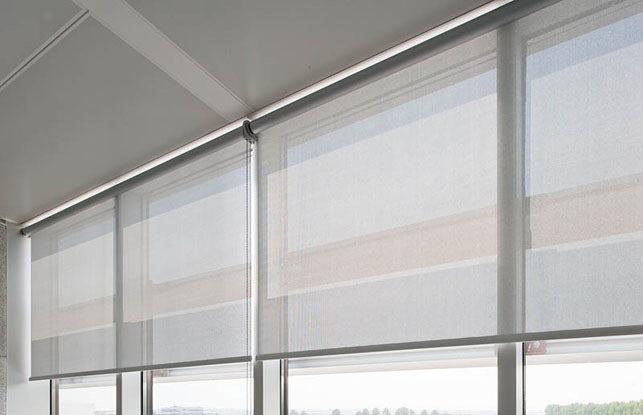 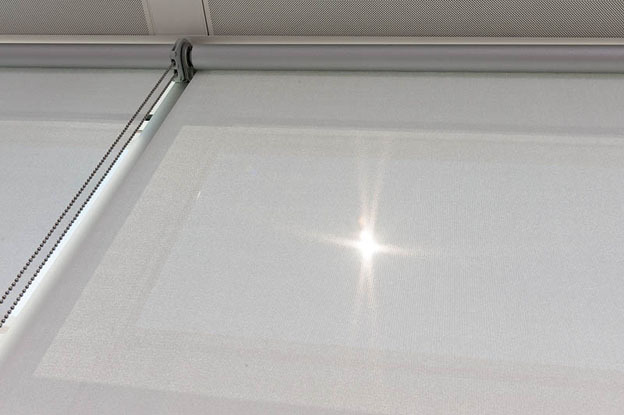 Roller Shades are a reliable choice to manage heat gain and light, and control glare, contributing to the energy efficiency of a building. 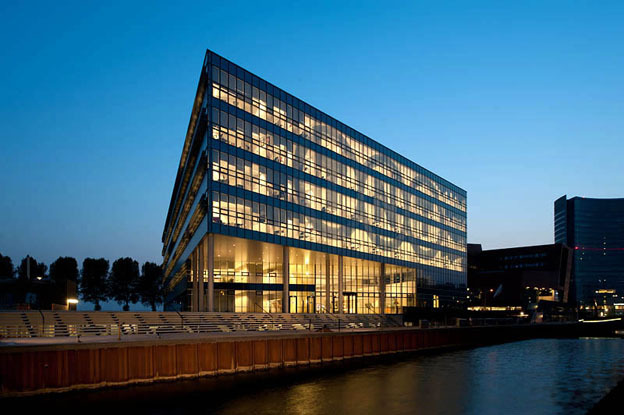 The TNT building is 60% more energy-efficient compared to a traditional building.